Exactly one year ago, at 1am in the morning on December 22, an embankment gave way at the Kingston Fossil Plant, a coal-fired power plant operated by the Tennessee Valley Authority (TVA) near Harriman, Tennessee. Over one billion gallons of sludge spilled out of the impoundment, flowing into adjacent ponds, the Emory River, and residential areas. This sludge – officially branded “coal combustion waste” – is a toxic slurry of the ash and dust that remain after coal is burned in a power plant, mixed with water to make it manageable, and dumped into large holding ponds for indefinite storage. 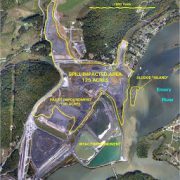 SkyTruth obtained aerial survey photography from the TVA showing the area as it looked before the spill; one week after the spill; three months later; and as it looks now. 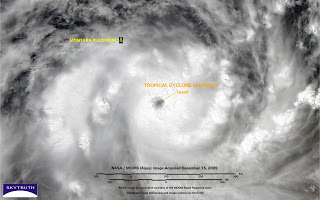 We analyzed the images to measure areas that appear to be directly impacted by the deposition of the sludge. 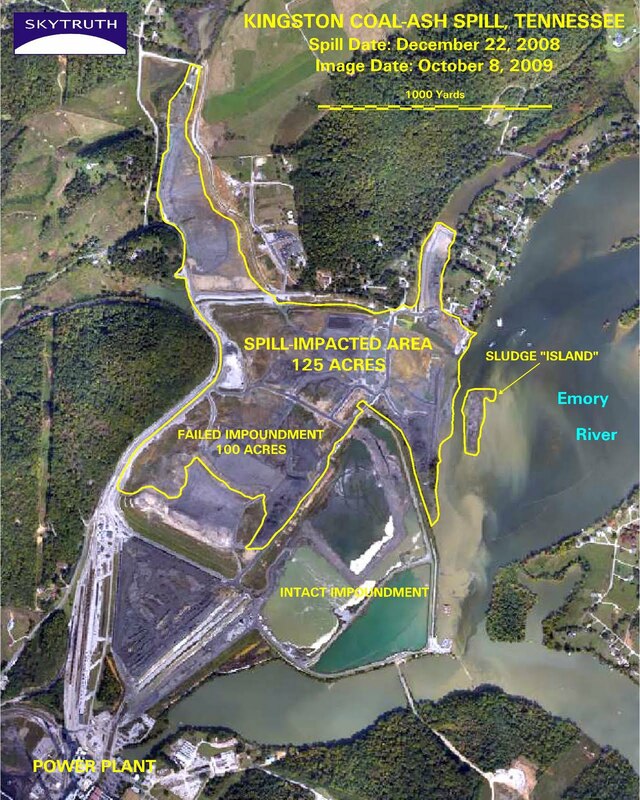 Our analysis shows that up to 186 acres of surrounding land and water were directly impacted, and that 102 acres of formerly open ponds and waterways now appear to be permanently buried by sludge. There’s even a 4-acre island of sludge persisting in the Emory River. With these air photos we’re not able to detect the areas throughout the Emory and Clinch Rivers that have likely been impacted as well. Erosion of these ash deposits, and transport through the river system, may continue for some time. The sludge “island” in the Emory River looks particularly vulnerable to being steadily washed downstream. Meanwhile, the Environmental Protection Agency is still trying to figure out what to do about the management of coal combustion waste, a growing problem across America. 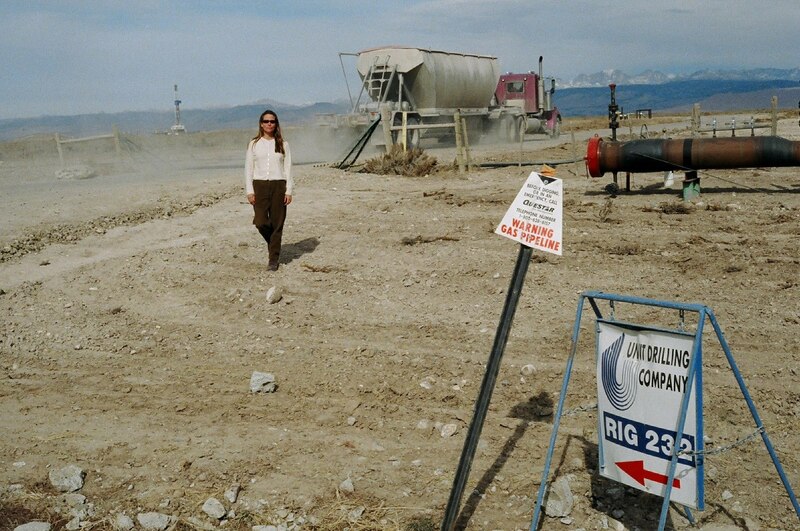 Gas-drilling activity on the Pinedale Anticline, October 2005. Pinedale, Wyoming: the Pinedale Anticline natural-gas field is one of the largest tight-gas sandstone reservoirs in the Greater Green River Basin of southwest Wyoming. The U.S. Bureau of Land Management (BLM) controls 80% of the mineral rights in the 198,034-acre area. In 2008 the BLM proposed a new development plan that includes 10-acre spacing of wells, a potential 4,400 additional wells in the field. 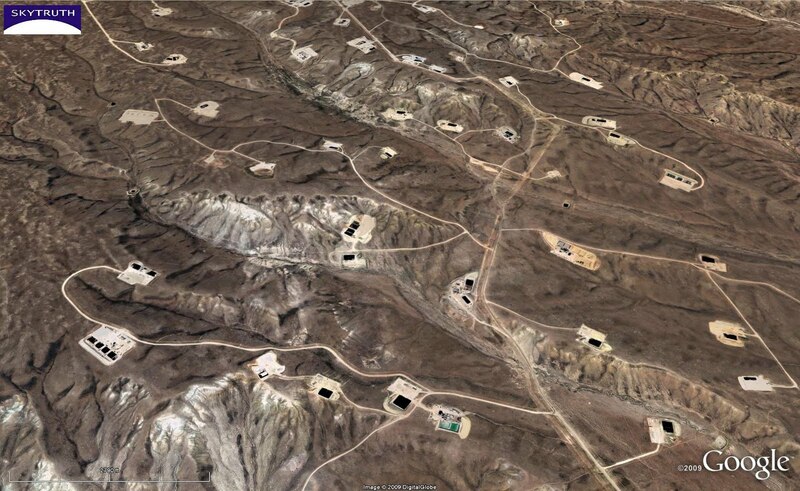 Google Earth image showing gas-drilling impact on part of the Pinedale Anticline, August 2005. The total area directly impacted by natural-gas drilling as of September 2007 was 5,194 acres. 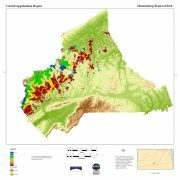 SkyTruth, in partnership with Appalachian Voices, documented the impact of mountaintop removal coal mining (MTR) over a 59-county area in Kentucky, West Virginia, Tennessee and Virginia by mapping the extent of mountaintop removal mining over a 30 year period using satellite imagery. 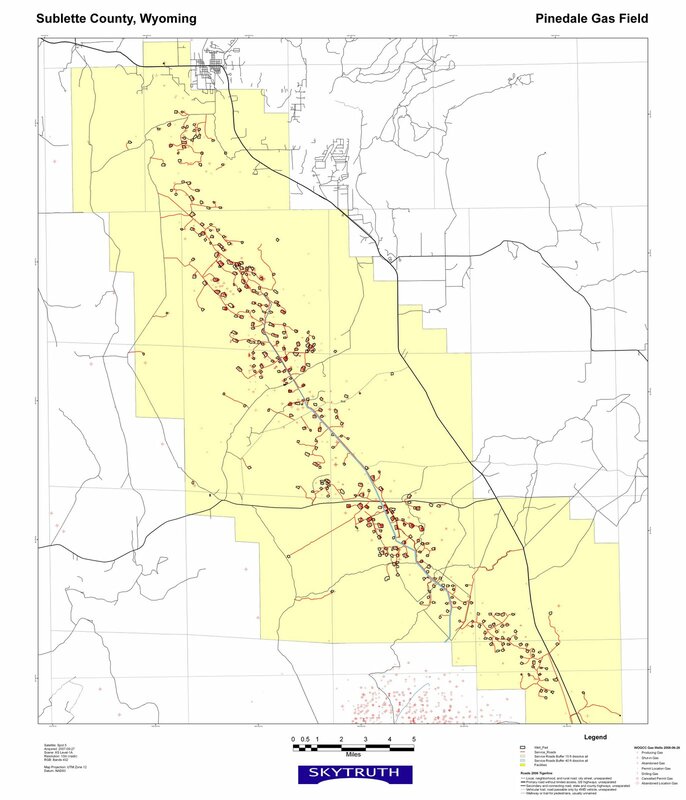 The historical record shows a 250% increase in MTR occurring over the last two decades, from 77,000 acres in 1985 to over 272,000 acres in 2005. The size of the individual mines also ballooned, with some now covering 15 square miles. Over 2,700 mountain ridges were destroyed by mining. 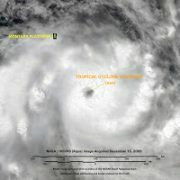 While this impacts an enormous area, how many more ridges and mountaintops are vulnerable to this destructive practice? In order to create a risk map, the variables that correlate with MTR must be identified. Our Chief Scientist, Dr. David Campagna, performed a preliminary investigation to determine the drivers of mining occurrence in Wise County, Virginia. Variables such as coal thickness, overburden, land use type, roads, and hydrography were investigated along with our previous analysis of historical to recent mining activity. Results indicate that two geologic criteria – coal thickness and overburden – best correlate with mining. Using these two variables, we generated a mining risk map for the county based on analysis of the main coal deposit in the area, the Pond Creek seam (see above). Knowing which ridges are at risk of being mined is the key to developing proactive strategies to limit further destruction, and predicting downstream impacts should mining occur.